to get your invitation to this heymish party at a private home in PALO ALTO. More details below. Our Summer party will be held in Oakland. It's time to try something new! If you are an instrumentalist (or like to listen), come to our Klezmer Jam this Sunday, May 1. All details in box below. Save the dates! 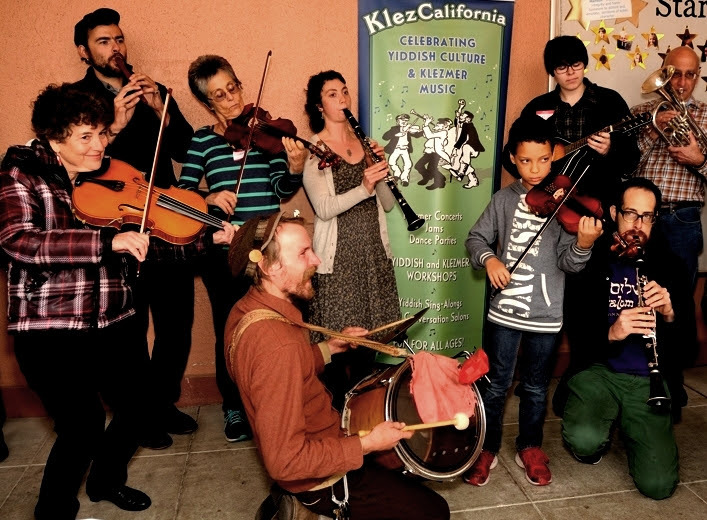 KlezCalifornia's 14th Yiddish Culture Festival will be Sunday, December 4 at the JCC East Bay in Berkeley, with workshops, a new cabaret, and singing and dancing. And don't miss our Yiddish Cabaret & Cabernet on Sunday, November 20, at the Osher Marin JCC in San Rafael. Due to popular request after our jam in Oakland in December, we now invite you to join us in our second jam session. WHEN: Sunday, May 1, 12:00noon - 4:00pm. WHERE: Art House Gallery & Cultural Center, 2905 Shattuck Ave., BERKELEY, a short walk from Ashby BART. WHO: We welcome musicians of any level with any instrument (klezmer experience not required), and people who just want to listen and enjoy. WHAT: The first two hours will be a guided slow jam where you'll learn and practice several klezmer tunes. The following two hours will be an open, faster, jam session consisting of klezmer and Eastern European folk music. DONATION REQUESTED: $10-20, sliding scale. FOOD: Bring a snack or beverage to share, if you wish. 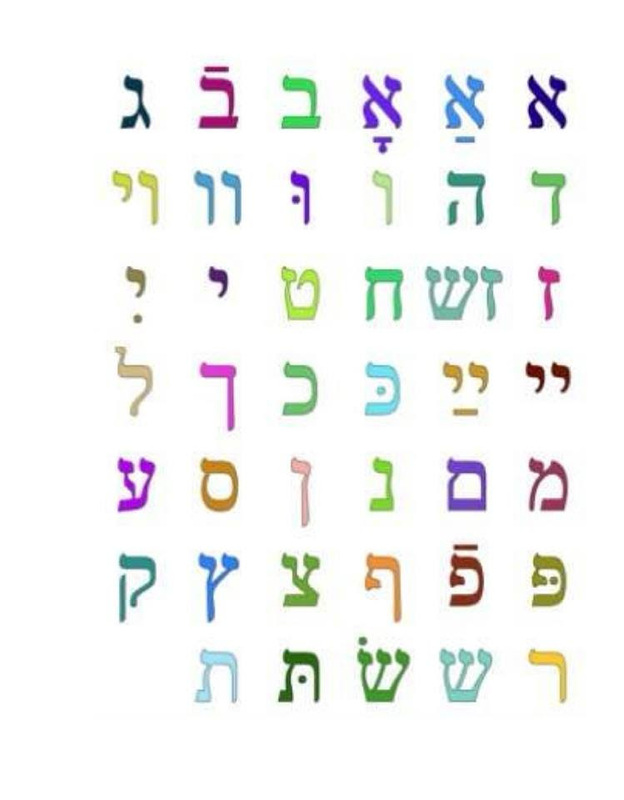 Mondays, May 2 - June 27, 7:00-8:30pm, Beginning Yiddish 1B, A Lek (lick) and a Shmek (taste) of Yiddish, with Ken Blady. A continuation from the fall and winter semesters. Presented by Lehrhaus Judaica. Co-sponsored by KlezCalifornia. Tuition: $125 / $110 members. 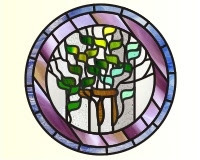 Wednesdays, May 4 - July 6, 7:00-8:30pm, Intermediate Yiddish, with Ken Blady. New students welcome. Presented by Lehrhaus Judaica. Co-sponsored by KlezCalifornia. Tuition: $175 / $160 members. and you'll receive your invitation. More info: 415.789.7679, info[at]klezcalifornia.org. (NOTE: Our Summer Party will be in Oakland). * Farvos hobn a sakh yidn fargesn dem yontif shevuis? Vos gedenkstu fun shevuis ven du bist geven a kind? * Vos zenen di mayles un khesroynim fun hobn a yidishn prezident? * Vi azoy hot yisroel avekgeton mit di steriotipn fun yidn? Az ir kent, breng epes af vos tzu nashn. Es iz shtendik beser mit esn. Zay azoy gut un loz unz visn frier tsi ir kumt. 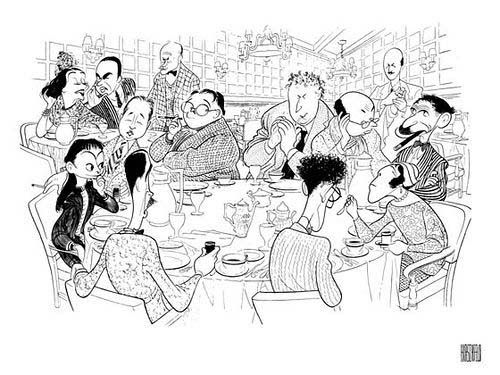 If fewer than five participants respond, the Salon will be cancelled, and only those who responded will be notified. More info:415.789.7679, flisik[at]klezcalifornia.org. (with a touch of French and English) including the Can-Can, Frere Jacques, the Marseillaise, and more, with the Jewish People's Philharmonic Chorus. , by Matt Burgess, presents new evidence that the language originated in Turkey, not Germany. Yiddish saying of the month: If not for the beloved Passover, we'd never get out of the mud (Az es zol nit kumen der liber peysekh volt men fun der bloteh nit aroys) (from Words Like Arrows, compiled by Shirley Kumove). Note: Rural Eastern Europe was (is?) very muddy during the winter. (also at Live Oak Theatre, BERKELEY, July 21 - August 20). Sunday, May 1, 12:00noon - 4:00pm, KlezCalifornia Klezmer Jam. See details in box above. Sunday, May 1, 4:00pm, Yes, We Sang; Songs of Communities that Disappeared, with songs in Yiddish, Ladino, and Hebrew by Kol Truah Jewish Choir of the East Bay, Jewish Folk Chorus of San Francisco, Nigunim Community Folk Chorus, guest singer Diane Wirtschafter, and guest singer Evelie Delfino Sales Posch performing the "widow song" from Di Megileh. Lyrics will be provided for a community sing-along. Tickets: $10 general / free seniors and children. More info: 510.528.8872. Thursday, May 5, 7:30pm, Erased: Babi Yar, the SS and Me, a dramatic memoir with song. Performed by Corey Weinstein with Saralie Pennington and Tom Herz. Part of a Yom HaShoah gathering. No charge. More info: 415.469.5564. 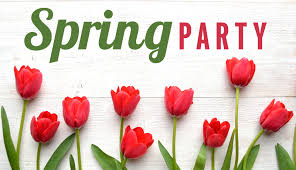 Sunday, May 15, 2:00-5:00pm, KlezCalifornia Spring Party. See details in box above. No charge. More info: 415.789.7679, info[at]klezcalifornia.org. Sunday, May 22, 2:00-4:00pm, Flisik Yidisher Salon. 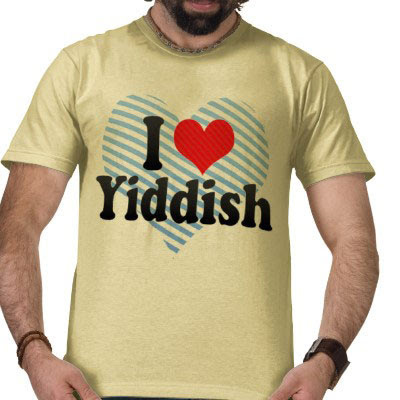 For fluent Yiddish speakers. See details in box above. Saturday, June 18, time TBD, Veretski Pass. Tickets: TBD. More info: 510.525.9248, fifthstfarms[at]gmail.com. At Addison-Penzak Jewish Community Center Silicon Valley, LOS GATOS.